The dried leaves of Agrimony, a perennial, deep-green herb covered with soft hairs and with a mild, pleasantly aromatic scent. Agrimony has burrs that have the ability to catch onto wool or clothing and it can grow to nearly a metre bearing beautiful long spikes of bright yellow flowers. The name Agrimony is derived from the Greek 'argemone' which was a word that was used to denote a herb that was good for the eyes. Agrimony has been used as a 'spring drink' to help with cleansing and in some parts of the world it is drunk with meals as a refreshing and pleasant beverage. 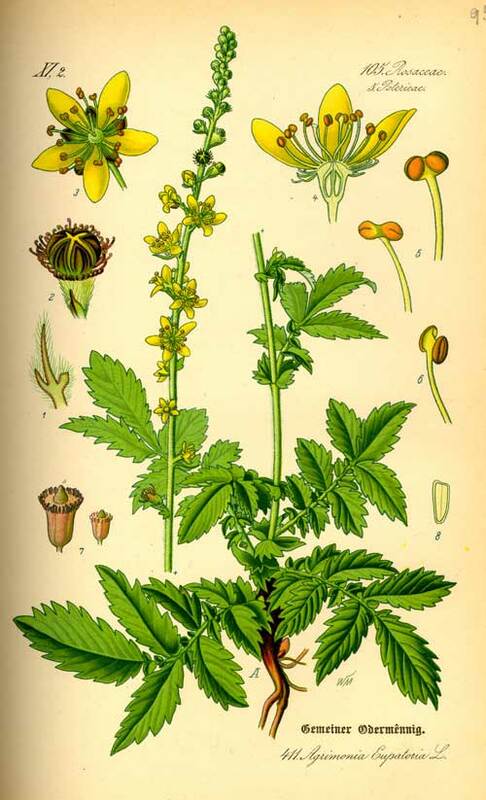 From King's Dispensatory, 1898; Agrimony is a mild tonic, alterative, and astringent. A decoction of it is highly recommended in bowel complaints, leucorrhoea, chronic mucous diseases, chronic affections of the digestive organs, profuse bleedings, of an asthenic character, certain cutaneous diseases, icterus, etc. A strong decoction, sweetened with honey, is reputed curative in scrofula, if its use be persisted in for a length of time; and it has also been highly extolled in the treatment of gravel, asthma, coughs, and obstructed menstruation. Dr. D. C. Payne speaks highly of a continued use of a decoction of this plant in the treatment of erysipelas and scrofulous affections, to be used freely, in connection with diet and regularity of the bowels. It is also reputed to be valuable as a diuretic, and has been considered a specific in dropsy and in gonorrhoea. 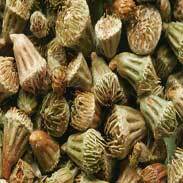 As a gargle, the decoction is useful in ulcerations of the mouth and throat. Priest and Priest described Agrimony as 'a gently stimulating tonic with a gastro-intestinal emphasis that is suitable for both infants and the elderly. It influences mucus membranes, promotes assimilation and restores debilitated conditions' They also cite Agrimony as combining well with Shepherd's purse and Corn Silk for weak or stressed kidneys or for bedwetting and with Meadowsweet for hyperacidic dyspepsia. ~ A member of the Rose family; Agrimony is rich in bitters, mucilage, phytosterols and tannins. The constituents of agrimony include acids such as palmitic acid, salicylic acid, silicic acid and stearic acid; flavonoids such as apigenin, glycosides, kaempferol, luteolin-7-glucoside, quercetin, and quercitrin; tannins (3-21%) such as agrimoniin, ellagitannin and gallotannin. Agrimony is a safe herb that can be used as freely and frequently as required however, because it is so high in tannins, it may be expected that taking too much for too long might cause some mild nausea or digestive upset. In other words, your body will tell you if you have taken too much for too long and no further harm will come if you just listen to it and take breaks as needed. In theory, Agrimony could help people with diabetes because it appears to lower blood sugar levels, but it may be wise to not go too long without food if using this herb in regular medicinal doses. 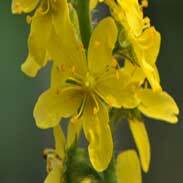 Also, if taking medications to lower blood glucose, it would be prudent to keep a close check on your blood sugar levels when taking Agrimony. That said, if it does indeed lower them further then you might think about taking less of the drug than the herb! There is no reason to expect that Agrimony teas or tincture will be any risk to take whilst pregnant or breastfeeding, likewise it can be used with confidence by all ages. Agrimony is excellent to use in a tea form where even just a tsp or two of the dried herb steeped in a cup of freshly boiled water for 5-10 minutes conveys a healing action that is deep, mild and easily received. 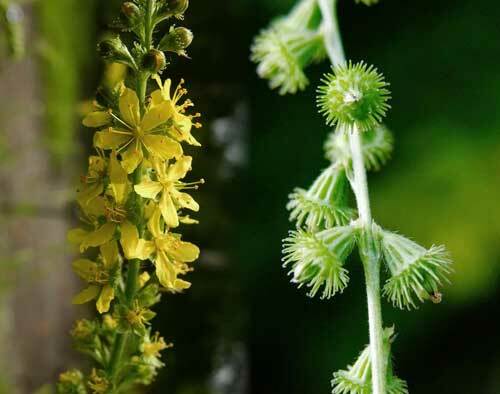 How Agrimony works on the inside is just how it works on the outside and a way to immediately experience how soothing and healing a herb Agrimony can be is where one or both of the eyes are burning or itchy. Here you might take some of the freshly made but sufficiently cooled tea and either place some drops directly into the eye or use in an eye-cup to bathe the eye. It is likely that significant instant relief will be experienced, and such a treatment could be repeated as often as needed until the condition resolved. 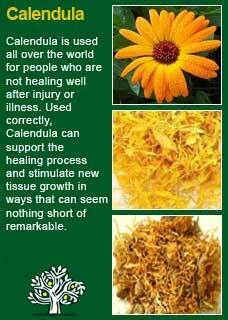 Similarly, one can quickly see its healing action on the skin if there are hives or some other kind of inflammatory eruption. In such case you can make a tea of Agrimony using 5 or 6 heaped tsps to 2 cups of boiling water, covered and allowed to steep for 15 minutes, then strain and allow to cool. 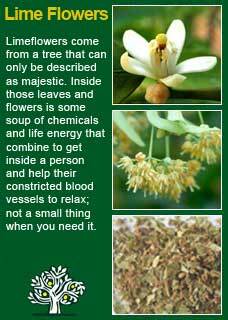 This tea can be sprayed or dabbed on to any affected areas for some immediate soothing effects. 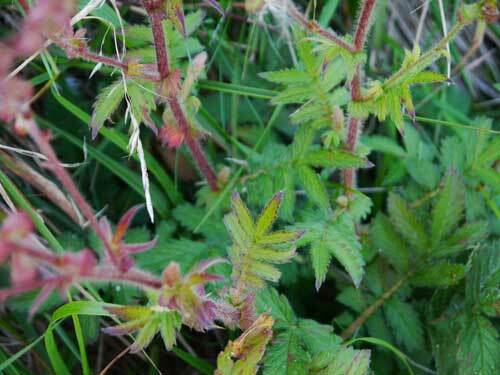 If you who are reading this are studying herbal medicine or have your own reasons to want to understand this plant ally at a much deeper level then I warmly encourage you to take a cup of Agrimony leaf tea of a small dose of its tincture and then, with a quiet and attentive mind, observe for yourself how it makes you feel. This old method of 'experiential' learning may give you a greater appreciation of the herb's 'action' than you could ever glean by reading about it. 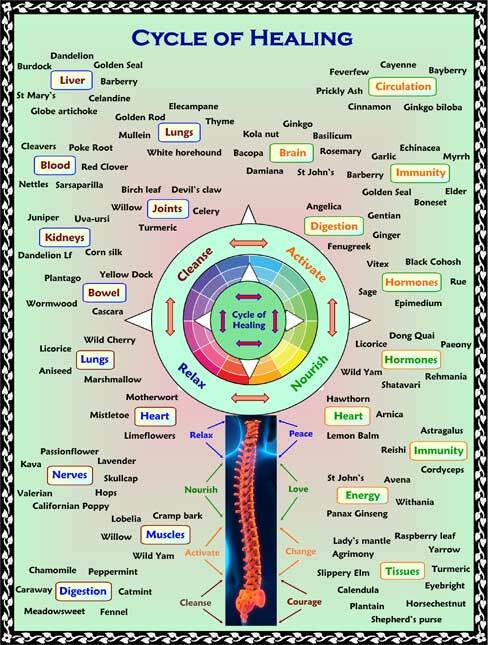 Speaking for myself I can feel a rather lovely spreading effect from the herb that starts in my throat and slowly moves down into my chest and upper abdomen. 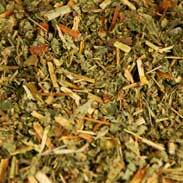 Feeling its action in such a way helps me to understand how Agrimony can bring tone to tissues. 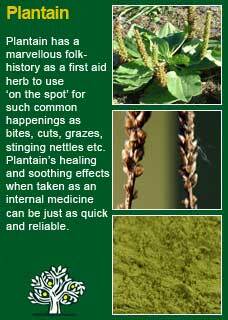 In practice, I especially like to use Agrimony for people who have had long-standing problems in their liver, kidneys or digestive health. Two of the most common ways I use it are shown in example of a gut-healing formula and a cleansing tea below. Dosage is always crucial to using herbs effectively. Some authors recommend higher amounts and one should be open to experimenting to see what works best but my own view on this is that the dosage to get the benefits of Agrimony do not have to be very high; a tsp or two of the dried herb, a ml or two of the extract which, in our clinic, we prepare as a 1:5 tincture in 40% ethanol. To make 210 mls, which will easily fit into a 200ml amber pharm round bottle. Bearing in mind that these would be tinctures that we make in our clinic, therefore herbal extracts from other companies or practitioners might have a different range, the dose I would give for a sure action on healing a damaged gut would be 4-5 mls, 2-3 times daily for as long as needed. These are all dried herb weights. If at all possible, get the herbs from a certified organic supplier, there is usually a very significant difference in quality and, if we all support the organic herb world, it will continue to flourish and remain affordable for all. These amounts will give 300grams, enough to fill 2 jars of the one pictured below. Taken at full strength, this amount would give enough cleansing tea to last close to a month of daily doses. For a potent cleansing action, pour two large cups of freshly boiled water over 10grams or 6 very heaped tsps of the herbs. Cover and allow to steep for a good 10-12 minutes. Steeping much longer than this will not make the tea more medicinal, but it will make the tea harder to drink! Strain and drink the tea in divided doses through the day. The tea will keep fresh and strong for 24 hours and it will not affect its potency if it is allowed to cool however, if you prefer it warm or hot, then strain the tea into a thermos when you make it rather than re-heat it later. I suggest you use all the cleansing tea well before dinner time to allow your kidneys time to cool off before you go to bed for the night. You can, for example, simply divide the dose in two and have one cup in the morning and one in the afternoon, but if you prefer to divide it further or even to mix the tea into a drinking bottle and take it ‘on the go’ with you then that’s ok too. Adding honey while it still hot is optional and will not affect the action of the herbs and likewise it is ok if you want to mix the tea with any kind of juice if that is your preference. 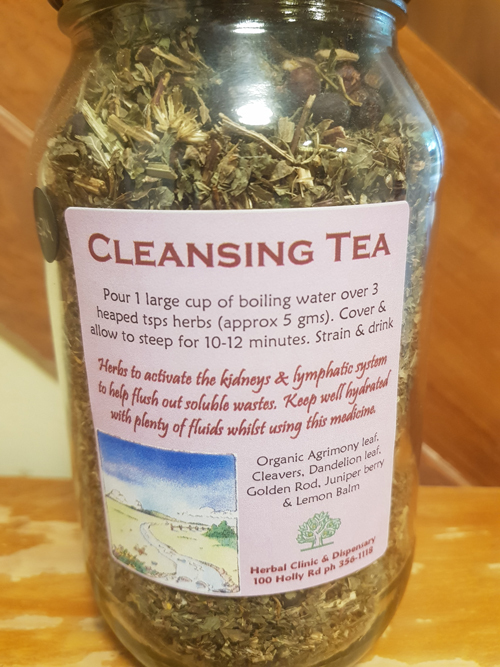 This tea will strongly activate cleansing in your body and each day you use it your whole system is going to have a significant increase in how it flushes out its soluble wastes. What this means is that if you don’t drink enough additional fluids during this stage of the treatment then you will be likely to feel some combination of irritability or physical achiness. Therefore, it is important that, once you get this process started, you regularly rehydrate and the way to be sure you are doing this sufficiently is to keep a check that you are going to pass a good amount of urine at a minimum of once every two hours. Going to the toilet more than once an hour is an unnecessary level of strain on the kidneys and you should ease back your additional fluids if this is happening to you. The sweet spot is to have a good flow of urine coming through every 1 to 2 hours. "The taste of agrimony is sweet, acrid, and a little bitter. I often have the client taste the herb, just a drop of tincture or a sip of decoction, if agrimony tastes sweet, then there's a good chance they will respond positively to the tension-relieving properties of the herb. If it tastes acrid, then they will more than likely respond to the astringent properties. Some clients may respond to all the tastes of agrimony, especially since the taste strikes in layers, one taste predominating over the others. The first few tastes may be sweet, but then the acridity comes in for a while and then the bitter strikes a note or vice versa. One client told me she could actually feel the lymph nodes in her neck quiver and then relax, drainage followed. 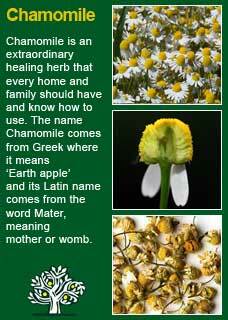 I also use agrimony to relieve tension in the liver, the bladder and in the gut. I think it helps folks who are really tense and stressed, who are constipated, have poor ability to sleep, and slow moving digestion. The slow-moving digestion is from constriction and tenseness in the bowels and gut lymphatics. The tissues relax and movement occurs. Agrimony is also good for children who wet the bed because they are so afraid they are going to wet the bed that they do." Much of the information here about the traditional uses of Agrimony is consistent with the model of thinking whereby one may treat problem A with plant B. There is value in this approach, especially in how it helps us pass on useful knowledge to one another, but it falls short in one vital area; and that is that people are not all cut from the same cloth! Something that works brilliantly for one person may do less for another -- why is this?